Earlier this year we visited South Wales to meet Scott Powell and Matthew Evans from Activity Wales Events to preview the Long Course Weekend (www.longcourseweekend.com). The 2013 edition took place from 12th-14th July this year. The Long Course Weekend comprises of the Wales Swim, the Wales Sportive and the Wales Marathon and was also televised on Channel 4. 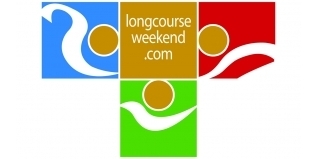 If you are planning your 2014 season and want to find out more about the Long Course Weekend for 2014, you can check out the full coverage here.